The latest single from the Wisconsin group’s Dogman EP describes a toxic relationship, and all the anxiety that comes with breaking it off. Trophy Dad started in a Madison, WI dorm room, but these days it’s less of an undergrad hobby than a genuine indie rock up-and-comer. 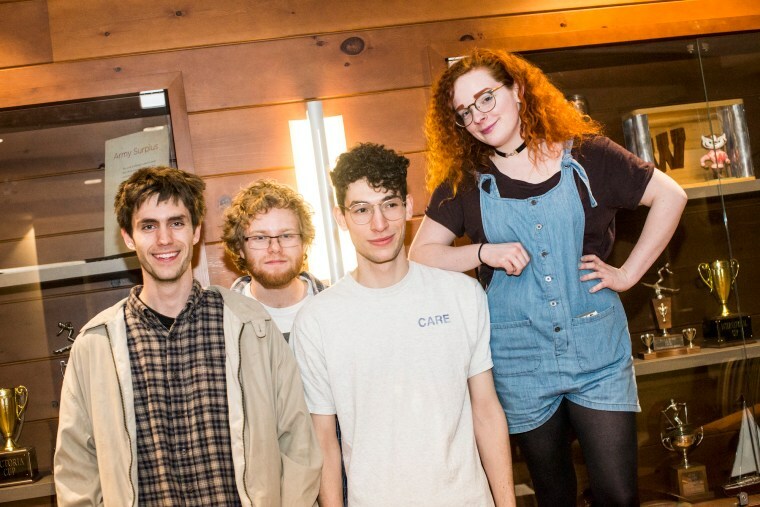 Since their 2014 debut, the duo-turned-four-piece has opened for names like Frankie Cosmos and Car Seat Headrest, but this year will see them headlining their own tour to promote their upcoming sophomore EP. “Addison,” the latest track to be released off of Dogman, premieres today on The FADER. On "Addison," Trophy Dad frontwoman Abby Sherman describes the border between codependency and manipulation, candidly delivering lines like, "I am wrapped inside your skin/ Won’t you gouge out my eyes with your thumbs?/ Let’s stay in." It’s gruesome and intensely physical, sentiments that are underscored by the instrumentation — the chord progressions on "Addison" fall down and get back up in turns, and the percussion paces itself in violent, punchy fits. Dogman is out May 5 on Sad Cactus Records.